Stunning fully fitted plug and play offices in Sandyford Business Park. The previous tenant carried out an extensive fit out which an incoming tenant can avail of. 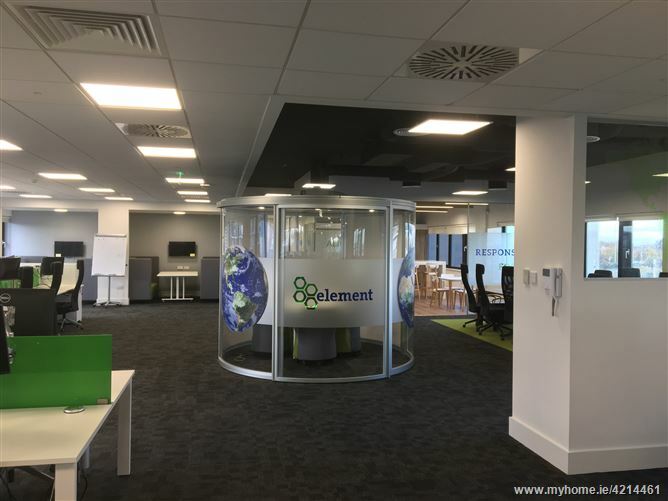 The floor plate comprises a perfect blend of open plan and cellular office space with meeting rooms (Pod and Traditional), break out area and a fully fitted canteen. Viewing highly recommended through Lambert Smith Hampton.